New Zealand business owners could soon be reprieved from problematic IT system set-ups, following the launch of a new technology start-up targeting the smaller end of town. Designed to remove complexity and cost out of IT deployments, HUM is the brainchild of Origin IT, a leading technology provider across the country. Specifically, the spin-off start-up provides fixed fee service bundles to the small business sector, targeting 5-50 seat organisations nationwide. “The simplicity, transparency and quality of HUM is a breakthrough offering for the small business sector,” Origin IT CEO Michael Russell told Reseller News. According to Russell, there are four key pillars to the HUM offering, spanning support, security, applications and platform. From a technology perspective, the business works with vendors such as ESET, Cisco Umbrella and Message Shield in security, with options to add in Microsoft Office 365 Business Premium and Microsoft Azure. Connecting directly into the Origin back-end capabilities, the HUM service offers support and security through a base bundle charged on a fixed fee $150 per user, per month rate, while utilising a direct licensing fee for applications such as Office 365. “It’s the same processes, technology and support that have been successfully serving our mid-market enterprise clients for nearly 20 years,” Russell added. “Small business customers will benefit from the tried and tested power and efficiency of the Origin engine. To service the market, Russell has created a dedicated HUM team from a sales and service perspective, leveraging a shared services model with Origin’s 120+ base of specialists. “At Origin, we’re constantly asking ourselves how we can add more value to our customers,” Russell added. “As part of our ongoing discussions around this, we realised that we had two distinct segments that we provide support for – our mid-market clients (50 +employees) and our SME clients (5-50 employees). “While there are similarities with each, there are also some key differentiators. And having quizzed our clients and future prospects on the topic, we gained some invaluable insight on how to better cater to their needs. Consequently, the wider Origin group now encompasses Origin, Hum and Optinet, spanning SMB, mid-market and enterprise sectors. With a specific 5-50 seat bracket set for HUM currently, Russell said when organisations progress to the upper bracket in terms of size, the team will internally assess whether the HUM or Origin service is best suited. “For years we have been servicing a suite of small business customers under the Origin umbrella, (which where relevant will be migrated to HUM) and are on boarding new customers every week to our new HUM service,” Russell said. Through the creation of HUM, Russell is targeting untapped potential in the New Zealand market, with 97 per cent of the market made up by small businesses. In dominating Kiwi industries, only 5,325 businesses employ more than 50 staff, with almost 50,000 potential customers available to the HUM brand. According to Ministry of Business, Innovation & Employment findings for 2017, for businesses with 6-19 employees, 96 per cent use the internet, 20 per cent are connected via fibre, 69 per cent have a website and 72 per cent have internet sales. Yet in New Zealand, small firms continue to face unique challenges. “We believe that hardworking business owners deserve more from their IT systems,” Russell said. 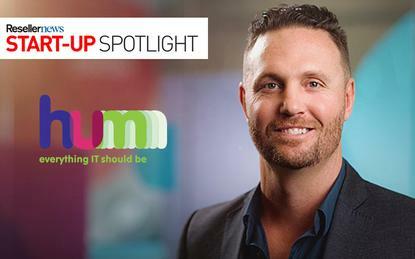 For Russell, the creation of HUM helps to service growing customer demand in the market, as businesses struggle to extract cost and value from technology. “Every medium sized business was once a small business,” he explained. “From my own experience, and from working with clients, I know that IT hassles can be a big worry, a big distraction and a big cost. In addition, Russell said business owners are continually challenged by hidden costs such as staff downtime, loss of productivity and revenue, management time, and damage to reputation caused by loss of service. Designed as a “soothing balm” for common technology pain points, Russell said HUM addresses many of the issues that small businesses face including poor security, spiralling costs, lack of support, outdated systems and systems crashing when they’re most needed. “HUM is a New Zealand first in terms of simplicity, transparency and quality,” Russell said. Encapsulating powerful infrastructure and 24/7 support, HUM is built to grow alongside a customer, with no disruptions or unwarranted downtime. “HUM has the power, the people and a track record of delivering managed IT services that means that small business owners can get on with doing business and stop worrying about technology,” Russell added. Looking ahead, Russell said the business group’s overall aim to become the leading managed IT service provider for both SME and mid-market sectors in New Zealand. “We anticipate the Origin business will continue its year on year growth, and we are confident the HUM business is going to hit a real sweet spot in the market,” Russell said.